With the anthem “New Year, New Me” ringing in our ears, many of us are flocking to the nearest beauty aisle to snag products touted as being able to make us look and feel our best. Beauty may actually only be skin deep: when it comes to beauty products, sometimes it’s what’s on the outside that counts. About 70% of waste produced by the beauty industry comes from the packaging! All those empties mean we’re responsible for roughly 12 BILLION, yes billion with a B, tons of plastic being dumped into landfills. That plastic doesn’t just vanish. I don’t know about you guys but I don’t want to live on trash island. So what’s a girl to do? Thankfully there are plenty of really easy swaps you can make to reduce the waste you generate without skimping on the good stuff. Here’s a list of my 5 favorite eco-friendly products: Guaranteed to make you and the planet more beautiful! These are absolutely ingenious! Lush Shampoo Bars are exactly like the shampoo you’re using right now, but without the plastic bottle waste. These shampoo bars give you roughly the same number of washes as liquid shampoo. Lather me up and count me in, these shampoo bars are definitely a must-have! These bad boys are just as impressive as they sound! The Atlantic Kelp and Magnesium Body wash is a multi-award-winning body wash with packaging made of 100% recycled plastic. It’s also metal pump free! 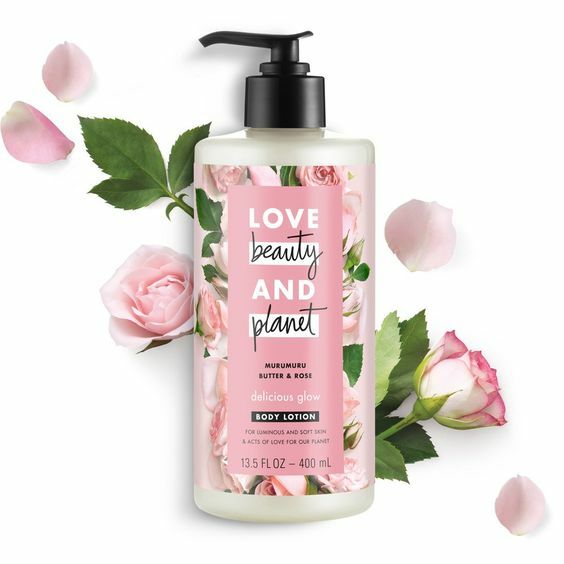 This body wash is infused with moisturizing ingredients and essential oils so you can hydrate your skin while saving the ocean! When I say I wish I could have bought this earlier, I ain’t kidding. Not only do these reusable cotton rounds save you around $50 or more a year, it saves tons of water from the production of disposable cotton rounds. These reusable, organic, unbleached cotton pads come in sets of 8. Simply use, wash with the rest of your laundry, and there you go. 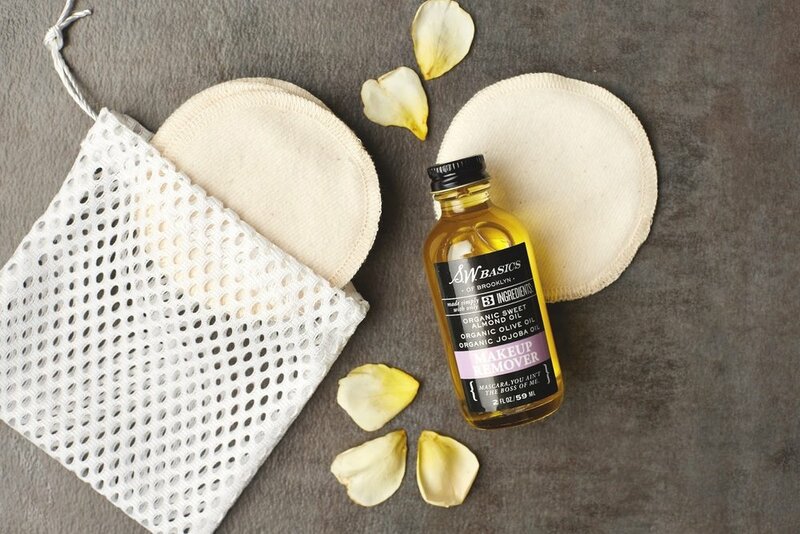 Save the environment and your wallet with these reusable cotton pads! I bet you won’t be going back. Made with 100% post-consumer recycled plastic, this company is all about sharing the love for our planet. And their products are doing just that. With natural, dye-free, silicon-free, paraben-free ingredients (list goes on), these products will leave you 100% guilt free. Oh yeah, and it smells amazing! But what if you’re REALLY into the beauty routine you already have? You can still make a positive impact! Here are two awesome ideas for recycling your beauty packaging. As much as we dread throwing out beautiful packaging away, this is one where you don’t have to. Instead of trashing that empty perfume bottle, reuse it as a scent diffuser. Just add your favorite scent and reed sticks into the bottle and there you go. Got yourself a cute décor piece & air freshener in one. Makeup Brush Holder: Need another container for your set of makeup brushes? Give your new makeup brushes a fun home with a totally elegant looking candle glass holder. Succulent Jars: For my crafty babes out there, here’s a cute way to bring a little life into your home in a super affordable and eco-friendly way. Simply replace your succulent pot with your new candle jars and voila!